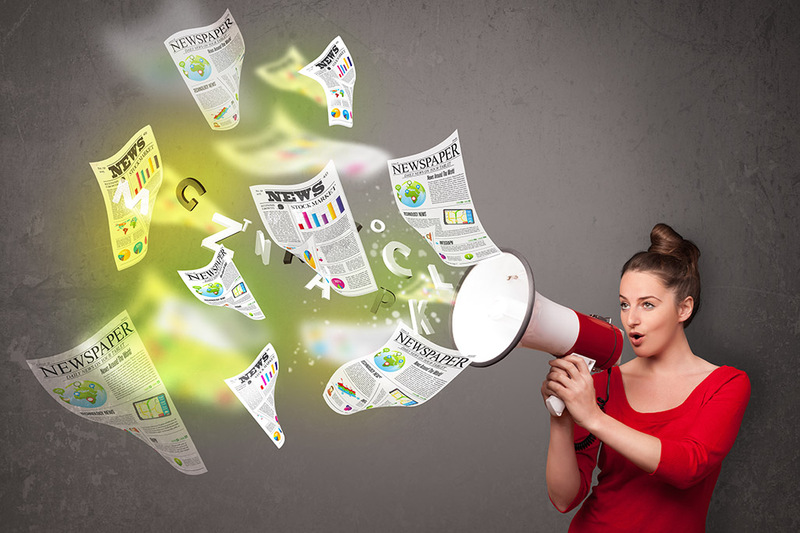 How Press Releases Help Small Business | Lion's Share Marketing Group, Inc.
Something really, really big has happened at your company and you’re ready to shout the great news from the rooftops. Maybe you landed a huge new client or partner. Maybe you’re introducing a long-awaited product or unveiling an enhancement to an existing product. Or maybe you just hired a highly respected figure in your industry. Unfortunately, even the tallest rooftops don’t get you too far in the digital age. If you want the press and general public to know about it, you’re going to want to draft a press release. Most small businesses don’t have a PR firm engaged to help with media outreach, so they need assistance with this process. Writing a press release isn’t rocket science, but it does take some mastery of the form. They’re structured in a specific way to convey information as clearly as possible. Most importantly, the press release has to have value for the reader and it must contain new information. If you have to question whether an item is significant enough to merit a press release, it’s probably better shared through social media or a blog. Of course, simply writing a press release is not enough. You also need to distribute it, preferably through a digital service, to guarantee some buzz. Chances are, at the very least, a regional or industry publication will pick up the news and broadcast it. With more luck, you’ll get a story in the business or mainstream press. Remember: If you have customers or resellers you can mention it’s an easy way to also get them more coverage which gives you more fodder for doing business in the future. From there, it’s a matter of leveraging that press release in your sales efforts. Be sure to post a PDF version on your website and have your sales team share it with existing and potential customers. If a customer is already considering buying your product or service and you can show them a press release, it may be enough to tip them over into the buy category. After all, everybody has a brochure and a website, but your good news may be that extra piece of validation needed to convince the customer that this is a worthy investment. We suggest our clients put out at least a few press releases a year: It shows you still have a pulse and keeps the company’s name in the news. When posted online, press releases also have the added advantage of helping boost your search engine rankings and attracting more visitors because you’re adding keyword rich content to your site. Lion’s Share works with companies to develop press release strategies designed to ensure that dissemination of each release is timed for maximum effect. We also make sure the brand messaging is consistent across all communications channels—carefully crafted to drive sales without pushing it into used car salesman territory. When handled correctly, ideally by a communications professional, press releases are an inexpensive way to achieve a number of goals and there’s no reason why any small business should not be taking advantage of this virtual megaphone. Find out how Lion’s Share can help you with press release development and management. Contact us today.